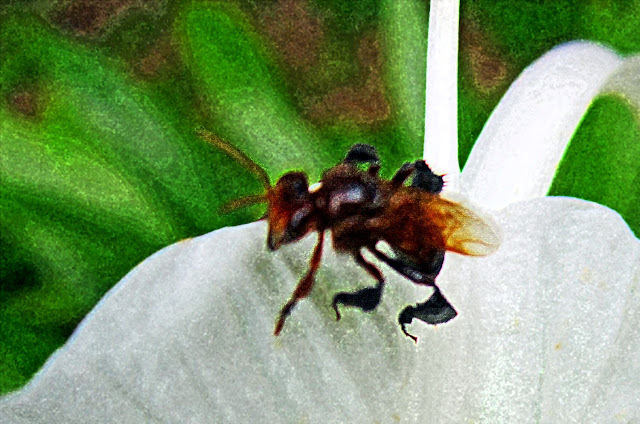 Typically, bees are seen to be hairy and fuzzy with yellow and black stripes, but they can also be dark brown, black or even a metallic green and blue, with stripes of many colors. 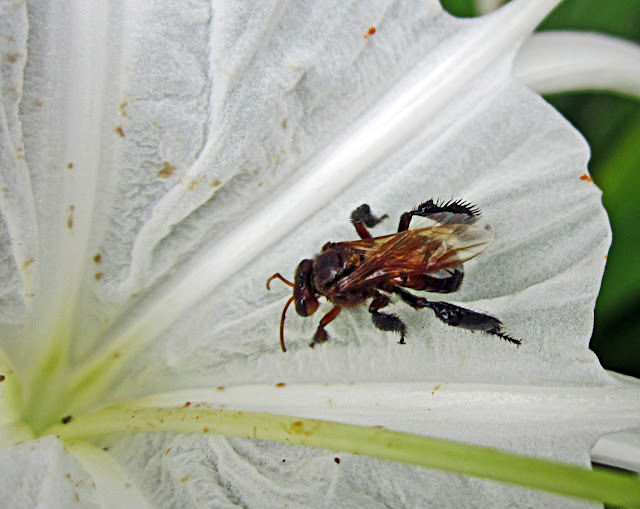 These photographs are of a black bee with brown wings on a spider lily flower seen in the rain forest of Malaysia. This is the same photograph made into a coloured illustration, on photoshop. Illustration of a black and brown bee on a white flower.